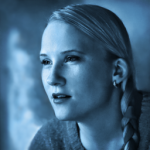 Written by Malin Hedström on March 12, 2015. Patch 1.03 is now live in the US and it should roll out globally soon! It addresses several of the issues you have come across and reported. Rest assured that we are continuing to work hard to fix any issues not yet updated with this patch, but they do require a little more time. Remember you can always read the current status of known issues in this thread: Helldivers SUPPORT – Post your issues here! A: Each region has its own patch approvals process and schedule, we are committed to providing fixes as soon as they are available in each region. We will however discuss with Sony how to improve the process with future patches so that you’re all able to play together! A: Cross-play is an advanced system integrated into the entire matchmaking process. The cross-play feature is working as intended across the different platforms, but we are trying to find a way so that you are able to more easily find and play with friends. It is not something we can fix overnight, but we are working on a smoother experiece! 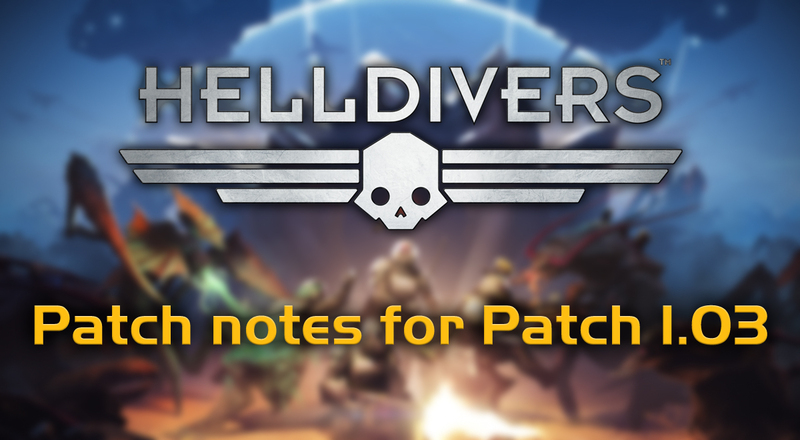 A: They weren’t lost with the patch but with the natural Commend & Report system of Helldivers. The Commends and Reports you have received are currently halved every week, between Wednesday/Thursday. At the same time you receive new ones to give out. This is to make sure that people with a lot of Commends can’t suddenly behave ill towards others with virtually no repercussions, and that people who behaved badly should not be judged forever but have a chance to change their ways. Stats were reset on PS4 controller disconnect, at specific points in the game. Issue only occurred on PS4. Multiplayer games were shown despite being full (4/4). This is now a filter option, on by default. In local co-op only player 1 stats were being uploaded (all were still saved locally). All players stats should now be uploaded correctly. The mech suit could be exploited to call down more stratagems even if used up. Issue where airplane shadows would get stuck (minedrops, airstrikes). Issue where the extraction beacon did not show up. Veteran Controller Mode in settings – increases trigger and analog sensitivity for those with a problem firing automatic weapons. Message dialog when saving fails, allowing the user to retry saving. If a player disconnects or timeouts during the start of the Mission Summary screen, they should be awarded the XP, Research Samples and reward that they would have gotten. Improved error message if you disconnect during mission start or mission end. It will no longer tell you that you were kicked, but give you a proper disconnect message. Speed of Mission Summary screen increased. Kicking is no longer allowed if one player has entered the shuttle during extraction. Improvements to the Multiplayer search and filtering. Improved error messages when joining games, if you are unable to join a game because it became full, it will now tell you. Game now remembers the chat volume set for other players between loading screens and doesn’t show voice icon for muted players when they speak.